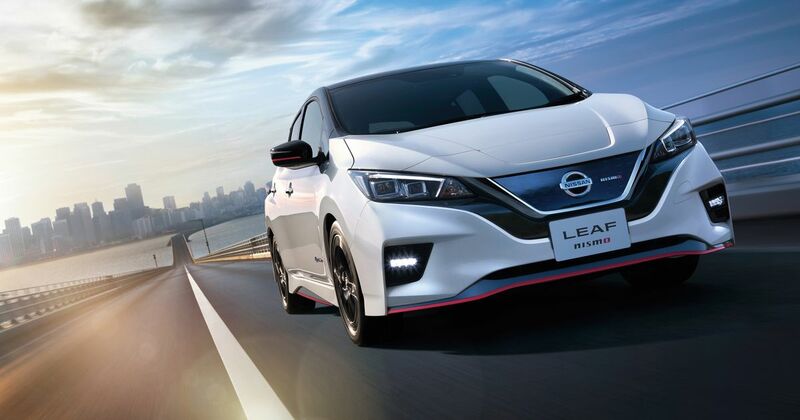 Nissan is to build a Nismo version of its Leaf electric hatchback, delving into a sportier side of the car than we’ve seen before. There doesn’t appear to be any specific power increase, but the throttle response has been tuned to be sharper; to make it feel faster. Nissan’s Intelligent Trace Control brake-based ‘torque vectoring’ system has a bespoke tune, too, in line with the revised stability control parameters. Custom aerodynamic 18-inch wheels and high-performance ContiSportContact 5 tyres should improve turn-in response. 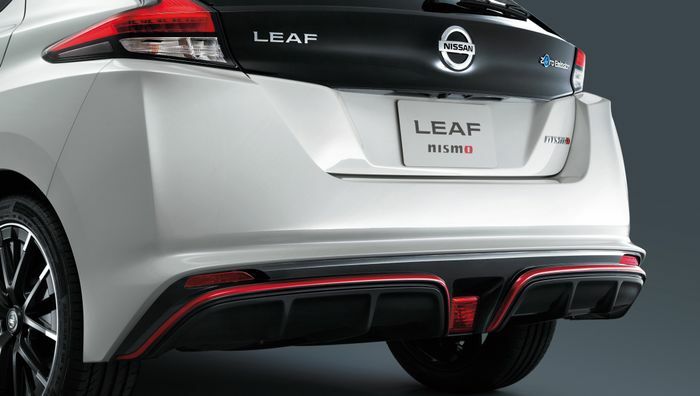 Bounce is handled by reworked shock absorbers that are still comfortable, says Nissan, but offer more stability through corners. The press release seems to have been translated almost directly from the Japanese so there are some slightly confusing descriptions, like a “delicate but strong acceleration response,” but we get the gist that this is a slightly tauter option for a firmer, marginally more focused feel. Inside there are multiple Nismo accents. Red trim, (fake) carbonfibre and a dark chrome-effect gear selector lift the interior from shopping-spec and add some welcome highlights. 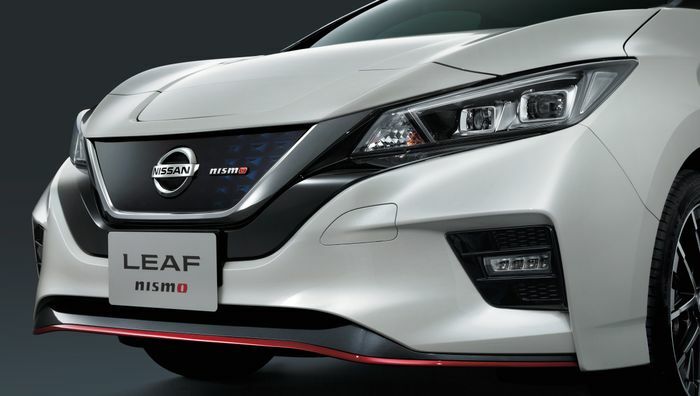 We can’t deny that we were hoping for a power boost and a generally more thorough series of performance upgrades if a Leaf Nismo was ever to be made, but we’re really curious to see how much of a difference these small tweaks make to the car, which already has a low centre of gravity and more technology than an Avengers sequel. Sadly, the model is restricted to Japan, for now, where it goes on sale at the end of July. 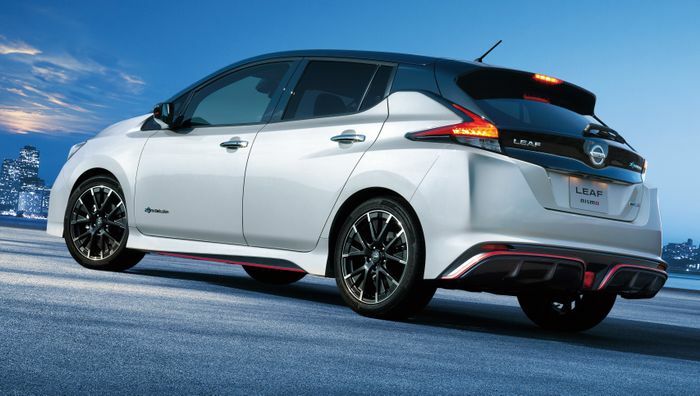 If a similar car ever makes it to the UK, rumour suggests that it will be a design exercise rather than an electric hot hatch. But if anyone could do it, you’d have to think Nissan could. The car comes shortly after a deeply strange convertible Leaf concept emerged a couple of months ago.